Whether you are in business or you want to interact socially, information technology has revolutionized the way you do it. This is where websites and blogs have come in so handy. If you are looking for the ideal career choice, this should be your first stop. The computing world provides a very broad area with multiple fields of specialization. Over the last one decade, web hosting has emerged as a top area in this industry as more people create websites to tap on the vast opportunities available online in an affordable manner. As a suave graduate, web hosting services should be the first place to seek job openings. Job outlook: The U.S Bureau of Statistics (BLS) reckons that with the value of online presence, users will start looking for inexpensive web hosting services. Whether you are in computer programming, reseller of web hosting services or any other area, you can expect growth in this field. Myriad career options: Do you love web development, IU design, database administration, and coding or software development? Well, you are in luck because web hosting firms require all these skills. Indeed, with skills in computing and IT or management you are a shoo-in in this sector. Part time gigs: If you are already working in another sector, consider the large number of new website owners who desperately need a reliable web host. With insight into the market, you can become a reseller and make money on the side; nothing beats some extra bucks in your account. Cool pay: Whatever your expertise, you can bet hosting services will take you in and reward you handsomely. For instance, median annual pay for computer programmers is $74,280 according to BLS, $92,770 for software developers, around $50,900 for most of the computing specialists in the industry. Job security: How would you like to work in an industry where unemployment is virtually nonexistent? A report by International Data Corporation (IDC) says that 28% of employment spots vacancies in the IT sector are in hosting services. The advantages go on and on; for instance you have the opportunity to work with a wide range of companies from diverse sectors. That fact that all businesses, organizations and institutions need a low-cost website hosting makes you an indispensible part of their operations. To say that web hosting is laden with opportunities is an understatement. With need for cheap hosting services on the increase, you can confidently say the sector is heavily expectant with vast opportunities for any discerning graduate. Author Bio: Charlie Brown is a free lance content writer. He has a great experience in the field of writing. Charlie has written many articles on Web Hosting. 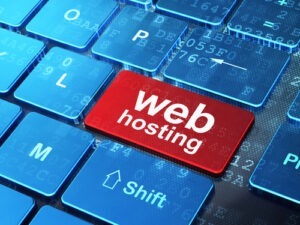 By this article, he has given some information about fast growing career in Web Hosting Industry. To know more Visit https://inexpensivewebhosting.reviews, which is the best resource to find an affordable web host.